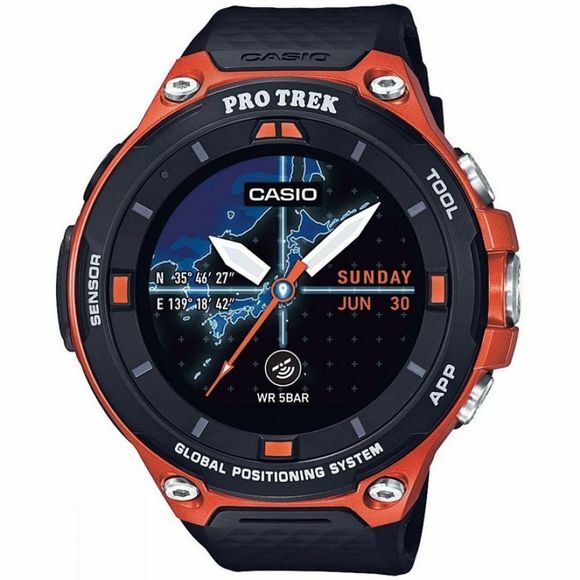 The ProTrek Smart Watch WSD-F20 from Casio is a wristwatch equipped with low power GPS and colour map functionality that can be used offline by simply downloading the maps in advance. Featuring the Location memory app, which instantly reads the user’s current location, and gives you the option to record the path travelled, make a mark or use speech recognition to add notes to otherwise unmarked map spots. Meanwhile the Tools app measures and displays essential information for outdoor activities and sports using a pressure sensor, compass, and accelerometer. The app provides real-time information about changes in the natural environment and your activity levels. Other popular Outdoor and Sports apps can be downloaded on to the device and installed for a wide range of activities including Snowsports, Golf, Horse-riding and Fishing to name a few. Tested to the United States military standard MIL-STD-810, the design features button guards, a protective bezel, and large and small side buttons to enhance operability and toughness. The watch is also water resistant to 50m making it suitable for swimming and water sports such as kayaking. 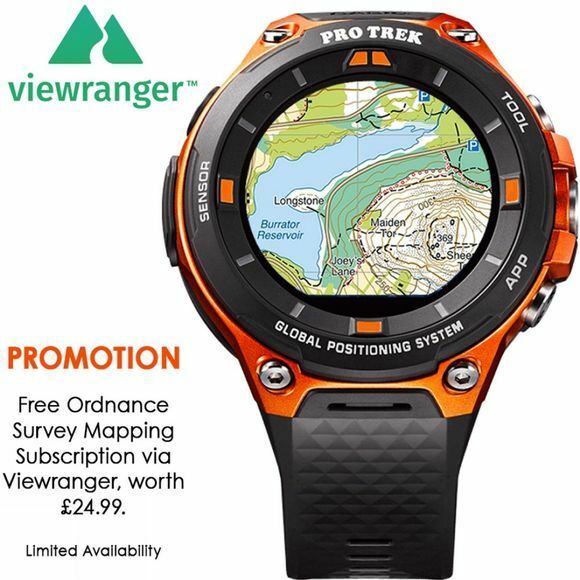 The Casio ProTrek WSD-F20A also includes a unique voucher code for a 1-year subscription to Viewranger - your digital guide to the outdoors. Viewranger provides thousands of downloadable route guides, free worldwide maps and powerful GPS navigation features. Location Memory App: Map screen, route screen, selectable map skin, map downloading (offline maps), voice memo, landmark, revisit marks & history screen.